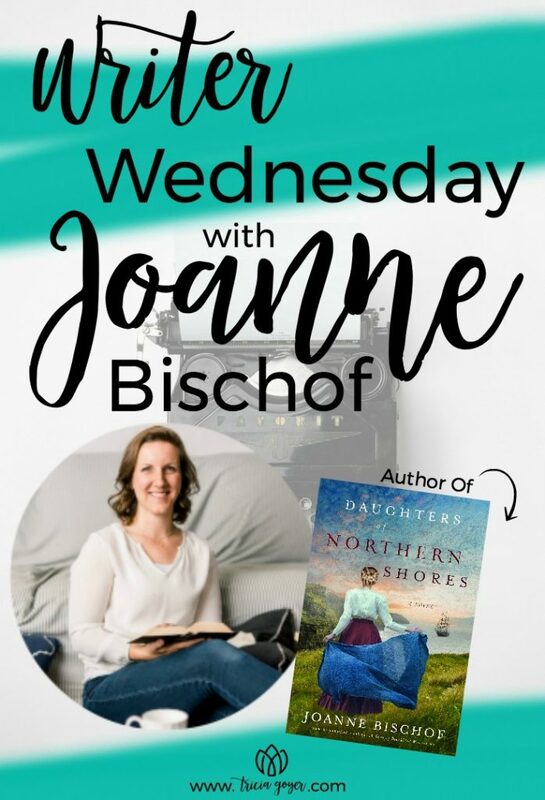 Today on Writer Wednesday we welcome Joanne Bischof’s, author of Daughters of Northern Shores. 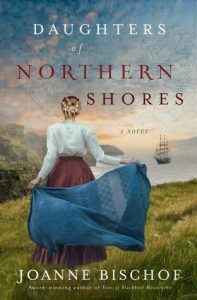 Enter below for a chance to win a copy of Daughters of Northern Shores! Winner announced right here next week. Congratulations to, Martha Peace, the winner of Carolyn Miller’s A Hero for Miss Hatherleigh! Please e-mail my assistant Christen with your mailing address! Note: This post contains affiliate links. 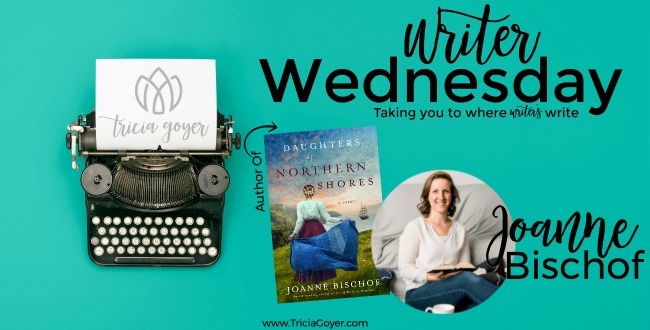 On today’s Writer Wednesday Joanne Bischof is chatting books! Growing up, my parents read the Little House series to my sister and me many times over. These books are some of my dad’s favorites and he continues to read them again and again to this day! Because of that, following along with the Ingalls’ family adventures was a special part of my childhood. 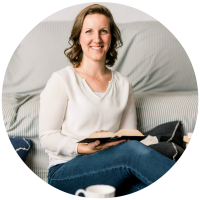 Laura’s way with words and how she could create a setting with such vivid pictures in my mind really sparked my imagination and her stories also sparked my love of history and savoring the simple joys in life like family, faith, and country living. What book did you read that made you first want to be an author? It’s hard for me to remember a time when I didn’t want to be an author; it was just always how I longed to be able to express myself with words on the page. As I grew older, and began to mature from children’s stories and adolescent novels to the world of Christian historical romance, The Red River North books by Lauraine Snelling were some of the first novels I remember reading and savoring. They opened my eyes to a whole new world of storytelling and Lauraine’s books definitely stirred in me a longing to be a Christian historical author one day. A few years back, she read and endorsed one of my own novels, which was an honor like no other! The last book I read for fun, happened to also be one that I had the privilege of reading for endorsement: The Seamstress by Allison Pittman. Oh. My. Word. This novel took my breath away. I was captivated by every page and when I reached “The End”, had to reread the final pages once more just to make peace with the fact that the story was really over and to say goodbye to those precious characters. I smiled, sighed and shed tears. It is such a stunning read and I can’t recommend it enough and am definitely going to be reading it again! I’m always thumbing through a selection of non-fiction books and in addition to my favorite devotional, Streams in the Desert, I’ve been reading The Sacred Search which has been an inspiring look at marriage from a Christian perspective. On the fiction front, I’ve recently nabbed Far from the Madding Crowd on audio CD from the library. I recently watched the movie (twice!) and adore it from end to end, so am really looking forward to the novel itself. I am so eager for the release of Whose Waves These Are by Amanda Dykes. Not only is she one of my critique partners and dearest friends, but she’s a gem of a writer. Such a wordsmith who can create the most captivating moments within story. Readers are in for an impeccable treat with her WWII-era debut novel set in small-town Maine. It holds so much heart! Tried to enter giveaway. Said i t was over? Short giveaway. LOL! I love that your family read the Little House series together when you were young. For me, my love of reading started when my mom read Madeline books with me. I love the Madeline books, but I didn’t discover them until I had kids! I just recently read The first book in this series. Only my second book by Joanne, I need to go back and read her earlier series!